A fashionable entry to policy? Progressive activists should think outside the box to challenge key Trump policies in indirect ways, Sally Tyler writes. Australian's vision for ASEAN defending international rules-based order totally unrealistic. New convention offers progress, pitfalls and a way forward. Why trade trumps tolerance in the regional bloc. The fate of minority rights in ASEAN. New Mandala co-founder Nicholas Farrelly marks the end of 2016. Why Southeast Asia needs a cultural spring. 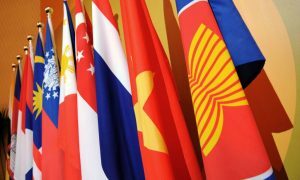 Are there still signs for optimism in ASEAN?